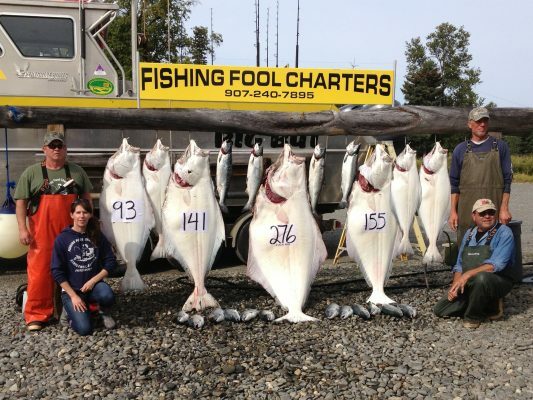 Fishing Fool Charters is a family run business operating out of Ninilchik, Alaska on the Kenai Peninsula. When you book a trip with us, you will be joining Captain Jeff on the Big But, which is a 32 foot custom built boat. 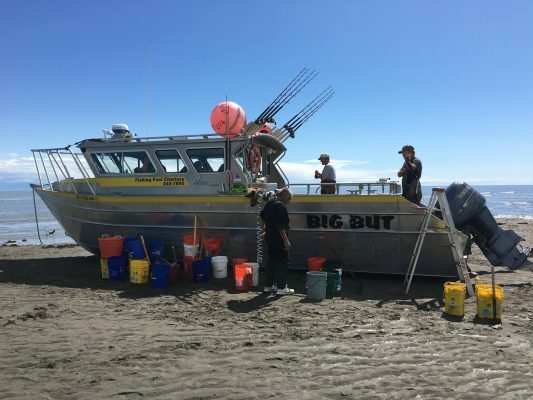 The owner, Jeff Glosser has been fishing these Alaska waters since 1988. He will be your experienced guide, bringing his extensive knowledge to ensure you have a successful trip. Jeff has been guiding out of Ninilchik since 2000. In addition to bringing you so many years of experience we also offer competitive rates and many additional services. 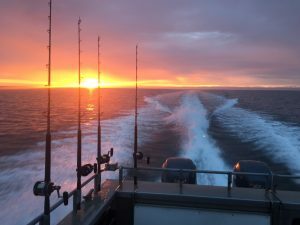 All gear, bait, tackle and cleaning is included in the price of the charter and skin is removed upon request. 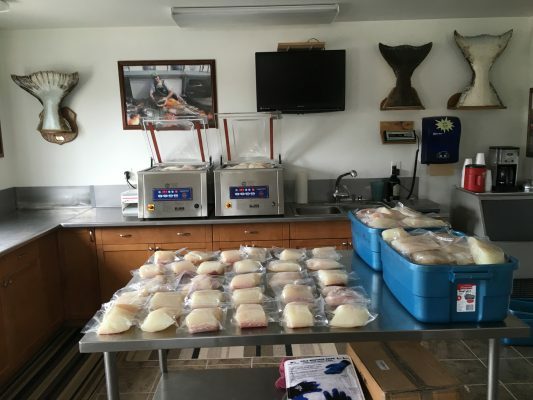 Commercial vacuum packing, freezing and shipping are available on site for your convenience. We also have a rental cabin located next to our business property and four RV sites. We beach launch out of Anchor Point or Deep Creek State Park near Ninilchik, Alaska. With one of the largest boats in the fleet there is plenty of room for the maximum of six people per trip. 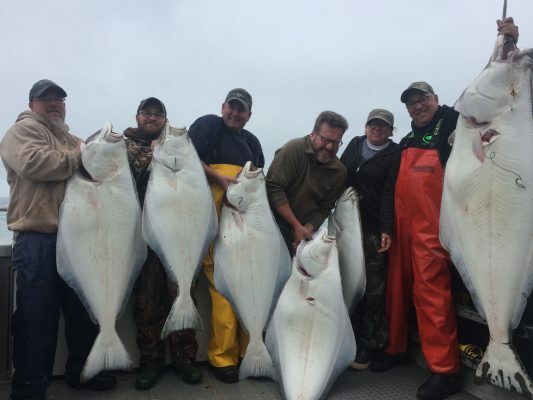 We have many loyal clients who return to fish with us year after year. 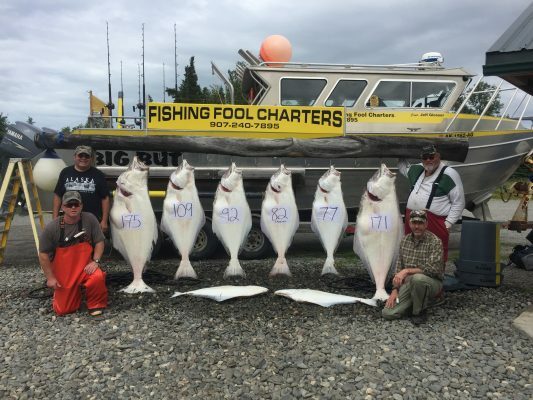 Our goal is to ensure that you catch fish and have a wonderful Alaskan experience. 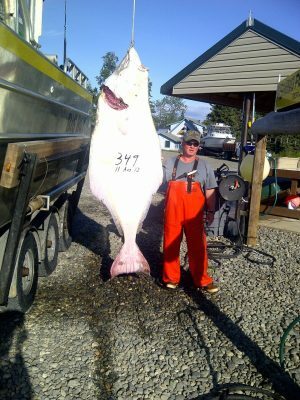 We do target large halibut – check out our photos! 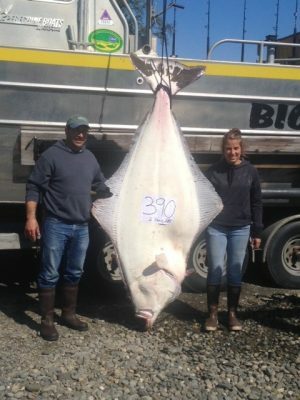 Come join the crew of the Big But in our quest for monster halibut and fighting salmon off the coast of Ninilchik, Alaska. Clam trips are also available on select dates. Don’t worry about getting lost when driving out of Anchorage. There’s one major road going north, and one going south. The creeks, rivers, towns, etc., have signs on the highway. The junction where you can keep going south to Seward or right toward Kenai and Ninilchik is clearly marked. 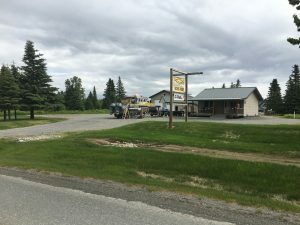 We are very easy to find: To get to the Sterling Highway (often listed as Alaska Highway 1) from Anchorage, drive south on the Seward Highway to mile 37 and turn onto the Sterling Highway at the intersection. Pass through Soldotna and continue southbound for 37 miles to mile 135.4, Ninilchik Village. At mile 136, take a left on Oilwell Road. Travel approximately 1 block to Kingsley Rd and turn left. 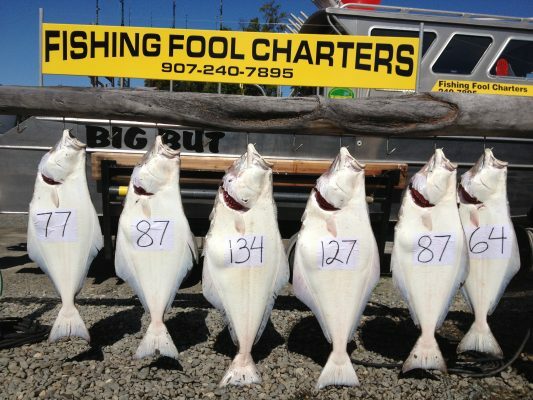 Fishing Fool Charters will be on your right..